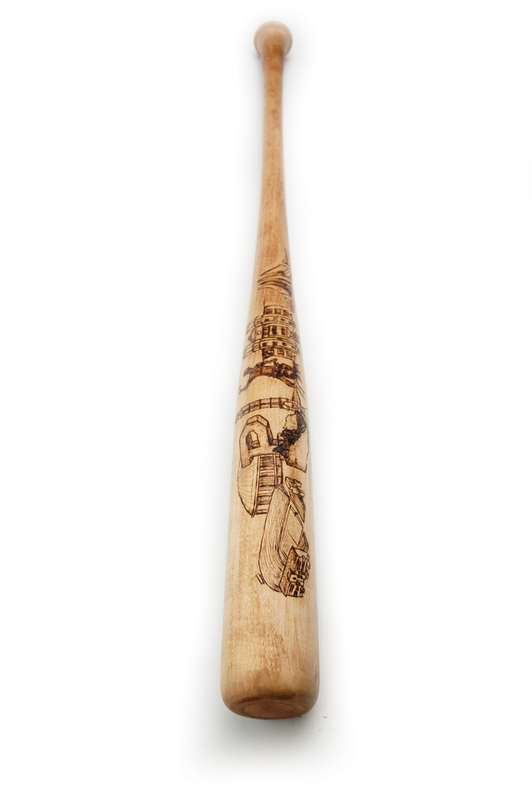 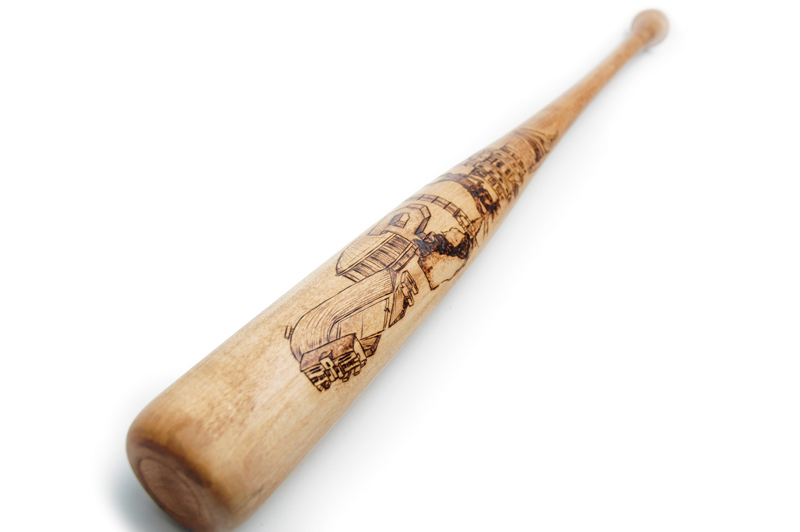 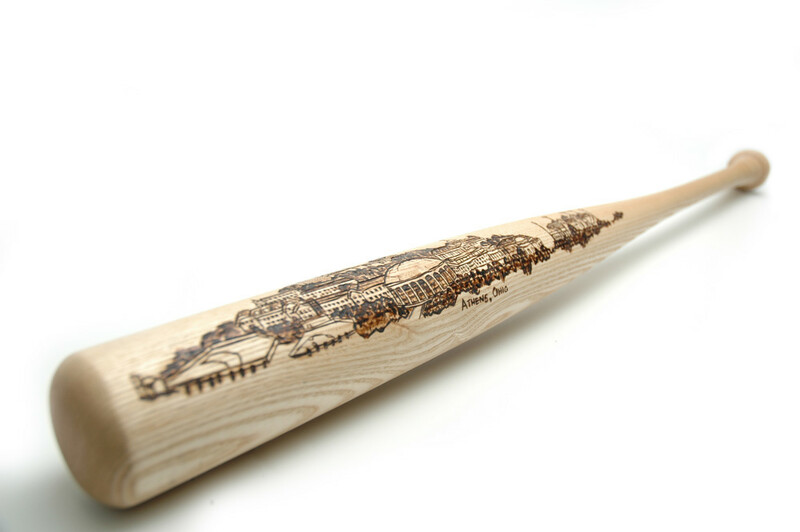 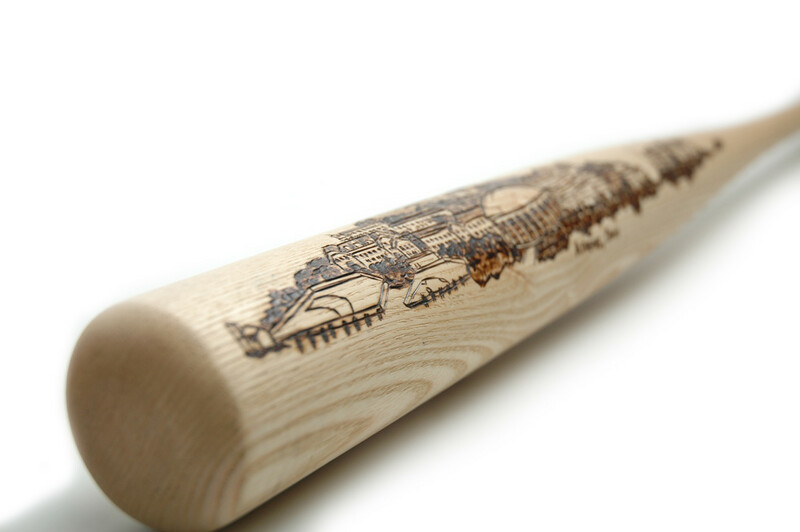 Woodburning of city/colleges into baseball bats. 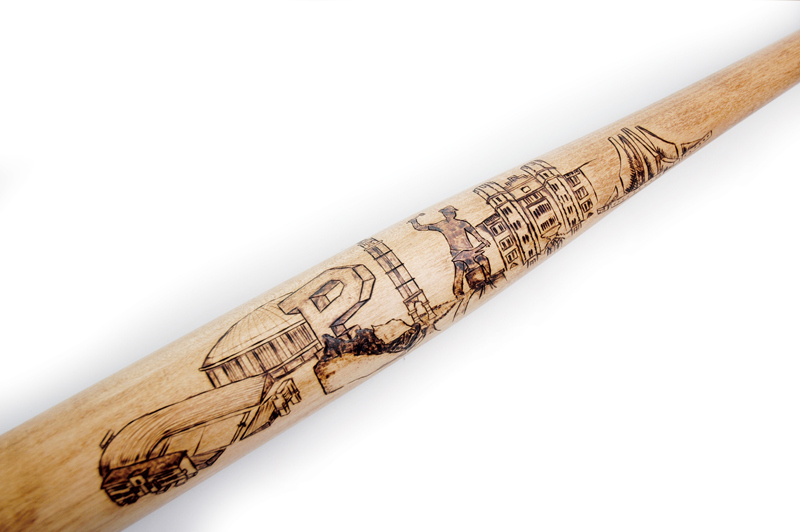 Commissioned pieces were each made from an unfinished baseball bat. 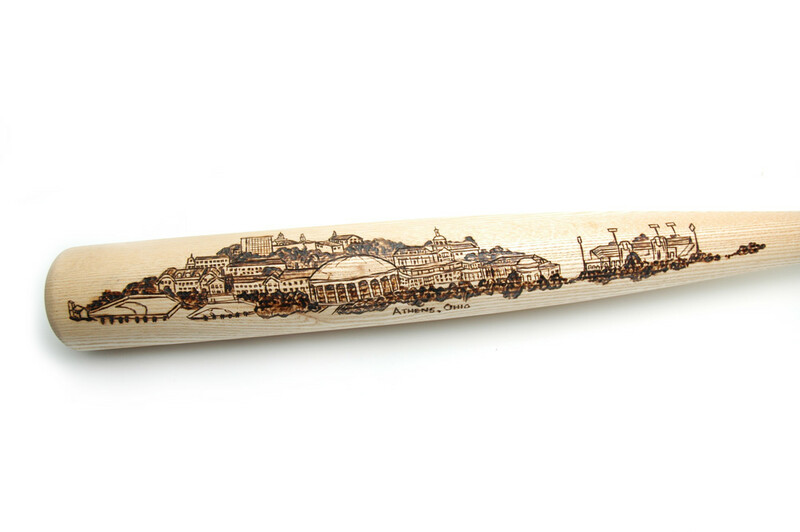 A panoramic of the college town was then hand drawn on the bat, then burned into the wood via a woodburning heat pen (pyrography). 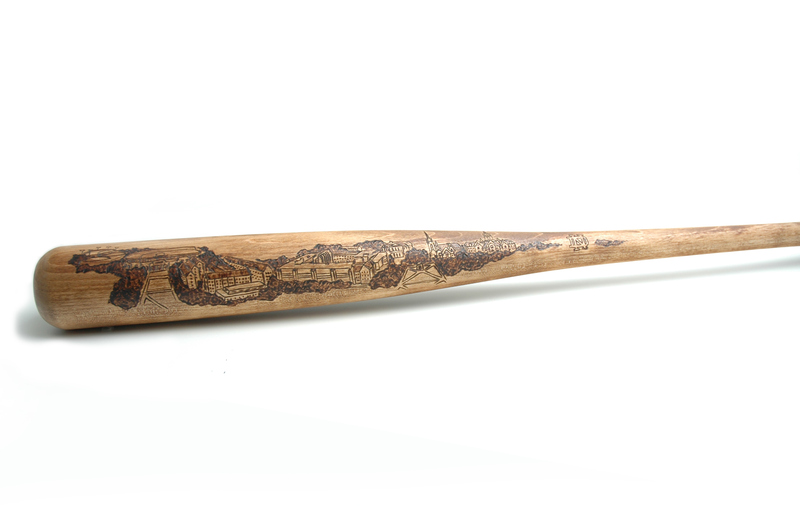 No two bats are alike and each has a unique finish. 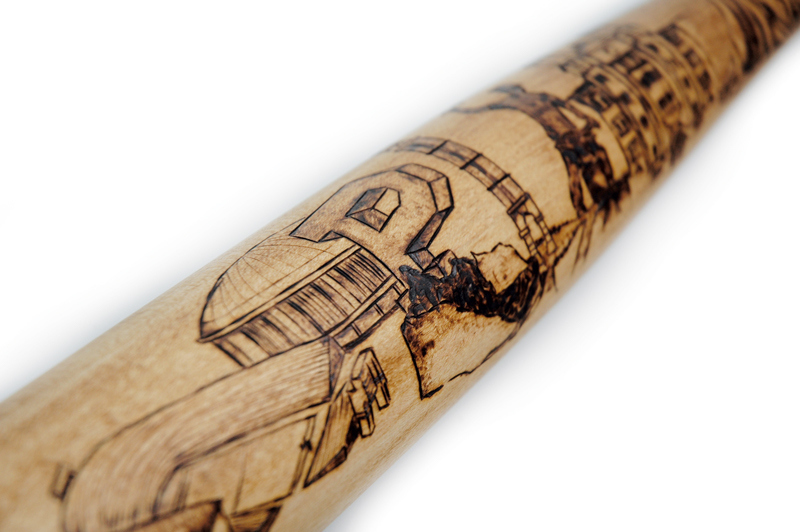 Currently 5 bats have been completed, one of the Notre Dame College campus, two of Ohio University in Athens, Ohio and one of Purdue landmarks. 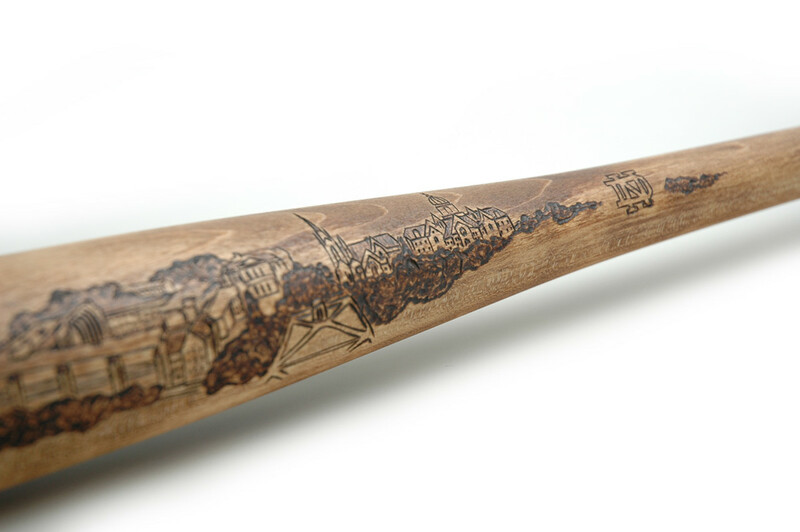 Commissions can be requested by contacting me at tim@tmartindesign.com. 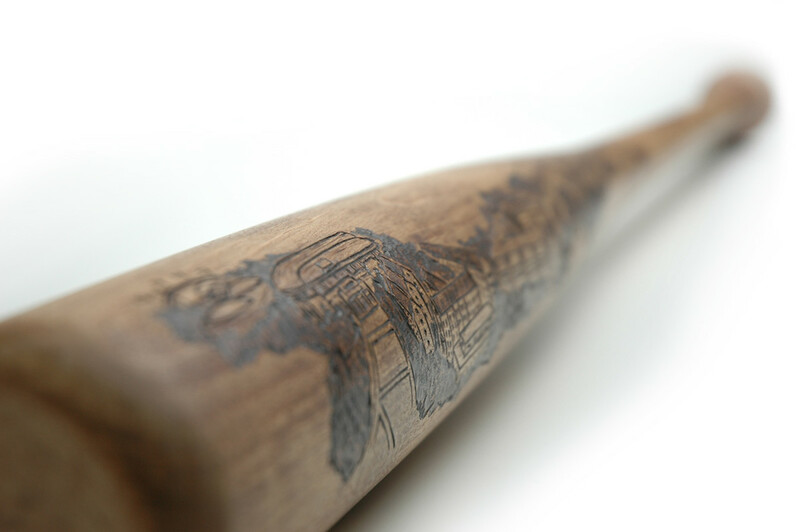 More bats and photos to come!